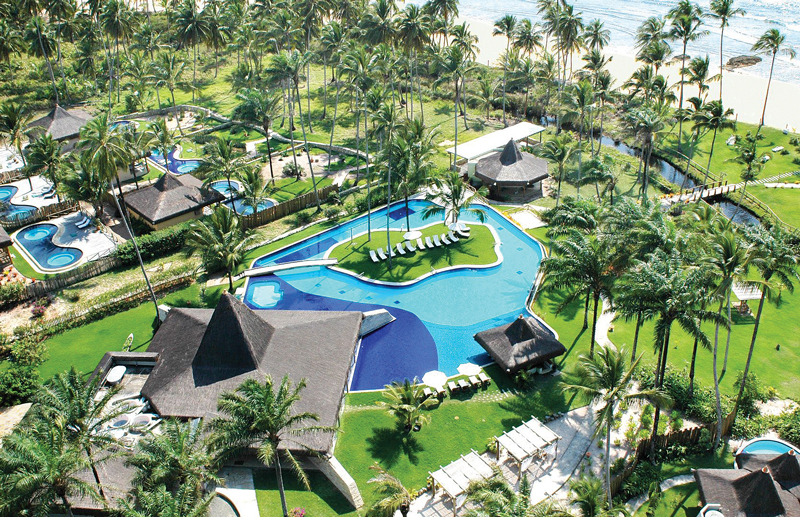 Anantara Maraú Bahia Resort Brazil will open later this year. BANGKOK—Moving into new markets isn’t easy, but Minor Hotels has been amping up its international expansion efforts for the past few years. Originating in Southeast Asia, the hotel group now has properties throughout EMEA and is moving further into South America later this year, continuing to push forward and explore new markets. “We passionately explore new possibilities in hospitality with a diverse portfolio of properties designed intelligently to appeal to a variety of travelers, serving their passions as well as personal needs,” said Dillip Rajakarier, CEO of Minor Hotels, a Bangkok-based international hotel owner, operator and investor with properties globally. Minor Hotels currently has 159 hotels and resorts in its portfolio, including those under its brands—Anantara Hotels, Resorts & Spas; Avani Hotels & Resorts; Elewana Collection; Oaks Hotels & Resorts; and Tivoli Hotels & Resorts—as well as other international hotel brands, such as St. Regis and Four Seasons Hotels and Resorts. The company has properties in 26 countries, with the majority of its properties across Asia-Pacific, the Middle East, Africa and the Indian Ocean. Minor Hotels most recently debuted in Europe and South America. For upscale travelers seeking authentic yet luxurious experiences, within the Minor Hotels portfolio, Anantara, Tivoli and Elewana Collection are options. “Our upscale Avani brand is more ‘millennial-minded,’ featuring open common spaces, grab-and-go pantries, and family-friendly conveniences,” Rajakarier said. Business travelers or families in need of long-term furnished accommodations may be better off with another brand, like Oaks. 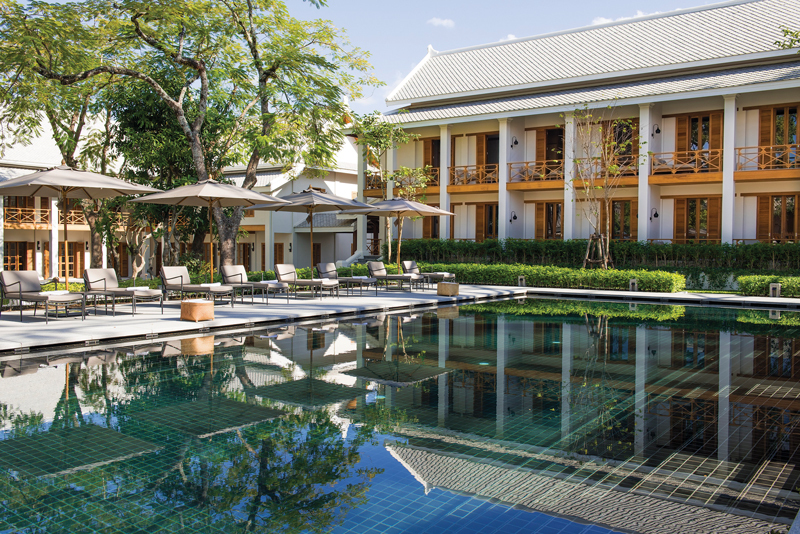 Minor Hotels launched Avani+ Luang Prabang at the beginning of the month. Minor Hotels has two homegrown brands: Anantara and Avani. “Anantara will celebrate its 17th anniversary in March and has grown to almost 40 properties in 13 countries,” he said. “This year, we’ll see the brand debut in two new countries—in Brazil, which will also be the first property in South America, and Tunisia in North Africa. Even though Avani is only six years old, it’s growing fast; the brand has 23 properties in 13 countries now. “Both brands have strong pipelines across multiple regions,” the CEO said. The international hotel group bought the Oaks brand in 2011 and acquired a 50% stake of Elewana Collection in Africa in 2008. The most recent brand added to Minor Hotels’ portfolio was Tivoli Hotels & Resorts, which was acquired in 2016; however, the company just announced the launch of a new brand, Avani+, Avani’s brand extension. The Anantara brand is expected to enter South America for the first time later this year; Minor Hotels will be launching Anantara Maraú Bahia Resort Brazil. The international hotel group’s acquisition of Tivoli two years ago gave Minor Hotels a platform in Europe and South America. That’s when the hotel company made its growth intentions known. 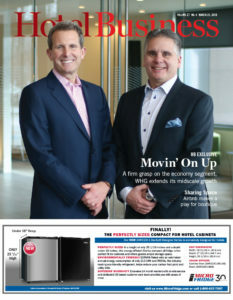 Expanding internationally presents development, construction and personnel challenges. “First, we want to ensure we work with the right partners; hence the time it takes to confirm pipeline properties can be considerable,” he said. “There are often challenges in construction with things sometimes taking longer than we would like. The biggest challenge is always the search for talented team members to join the global Minor Hotels family—as the hospitality industry continues to grow, it is harder and harder to find the right people.” As far as hiring, Minor Hotels looks to recruit attitude above anything else. The first Anantara in Europe, the Anantara Vilamoura Algarve Resort, Portugal, opened in spring 2017. The international hotel group’s home market is Thailand, where it currently operates 20 properties, many of which are owned. Minor Hotels also owns five properties in Thailand managed by other brands, including Four Seasons and St. Regis. In the Indian Ocean, Europe and Africa, Minor Hotels owns many properties within its property portfolio. On behalf of the company’s partners, it manages properties in the Middle East and China. Looking back, Minor Hotels has grown a lot over the years. 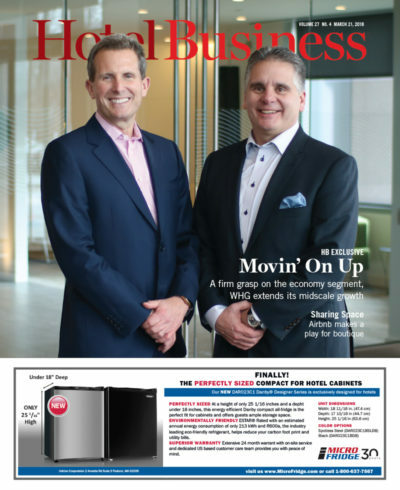 “It’s incredible how much Minor Hotels has grown and changed in the time I’ve been with the company, which is 11 years now,” Rajakarier said. “We had just three Anantara resorts in Thailand at that time, along with a number of hotel assets in the country. Avani was not even a consideration at that time.” Top achievements over the years include adding Oaks, Elewana and Tivoli; new regions of operations; and complementary portfolio brands. There are properties in the pipeline for 2018. 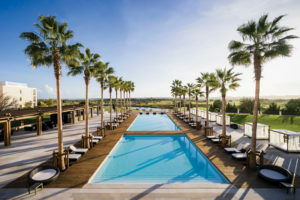 In addition to Anantara Maraú Bahia Resort Brazil, Minor Hotels will be opening Anantara Tozeur Resort, Tunisia. “Anantara Tozeur will offer a rich gateway to the splendid southwest made famous in the original Star Wars movie, an oasis destination renowned for its ancient history, beautiful landscape and wide array of desert adventures,” he said. Also on the agenda—Anantara Quy Nhon Villas, a 26-pool villa property, expected to open in Vietnam in fall of 2018. “Quy Nhon in southern Vietnam is a historic area ideal for exploration of ancient Champa temples, or trips out to the many island in the surrounding area,” he said. Minor Hotels launched Avani+ Luang Prabang, a 53-room hotel located on a narrow peninsula joining the Nam Khan and Mekong Rivers, at the beginning of the month. “The French neoclassical architectural design resembles the style of the grand villas of historic Luang Prabang, a Unesco World Heritage site,” Rajakarier said. “Minor Hotels’ recent purchase of Mekong Kingdoms river cruises connects nicely with this opening, providing guests with complementary land and water experiences.” The international hotel group has plans to add several more Avani properties in Thailand in the year.